9 miles from Ely along the Great Ouse is The Ship Inn – it sits at the mouth of the Little Ouse River, often referred to as Brandon Creek. and set off to explore another previously unvisited East Anglian waterway. 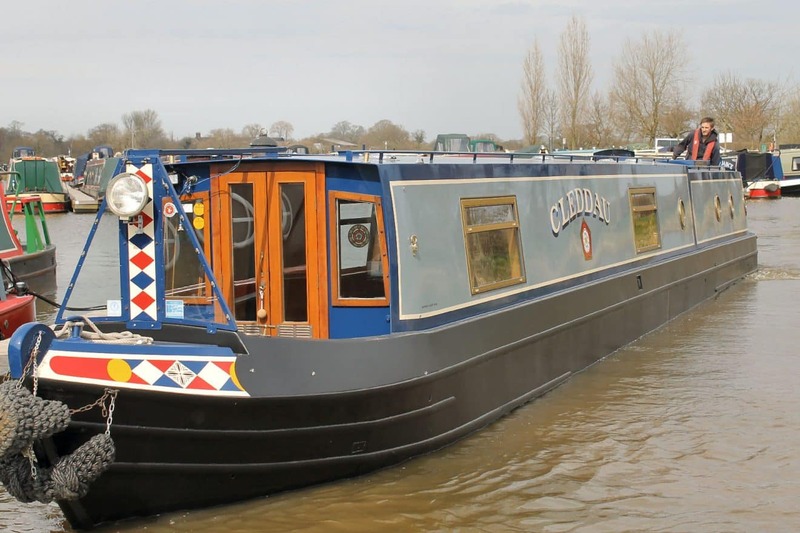 – and this boat, Dinali Dreams, of Nottingham and Alaska, surely hints at an interesting history! (just 5 in total over the 14 navigable miles) and various electric overhead power lines help navigators relate boat position to the Little Ouse map… The river feels increasingly remote – and where there are odd structures one can only puzzle as to why they are so dilapidated. It was Monday afternoon; all around darkened clouds hinted at imminent heavy showers. Onwards the river meanders, a railway line to the south, crossing the waterway not far from Brandon. There was a red object in the distance, what was it? A drum for agricultural irrigation hoses. Somewhere there is a county boundary and Norfolk becomes Suffolk. It’s a delightful landscape, mid-green reeds, dark green pine, larch and spruce, glimpses of meres and washes which are homes for multitudes of waterfowl. – except for the occasional two carriage passenger train and the military jets from the nearby USAF base at Lakenheath. As the river nears the head of navigation it narrows and its bends tighten. Brandon Lock to the left of it. Here boats longer than 40 feet must turn to head back downstream. Girls’ voices greeted the boats; on a warm school holiday afternoon the slipway below the weir is an attractive paddling point. Nearby fine Environment Agency moorings provided a good two night stopping point. Brandon – what sort of place is it? It is a crossroads town. and the modern bridge (reconstructed in 1953-54) certainly carries considerable road traffic now. There are wide streets and wide pavements but the traffic thunders through. Thetford Forest is not far away and in the 18th and 19th centuries’ rabbit fur factories and the flint knapping industries dominated the local economy. There is plenty of flint to be seen in the local buildings. weaving the 14 miles back to the Great Ouse. Ahead a duck managed a spectacular vertical take-off. Herons (always alone) perched sentinel-like on the bank then rose to a steady glide over water and field while swans cossetted their young. 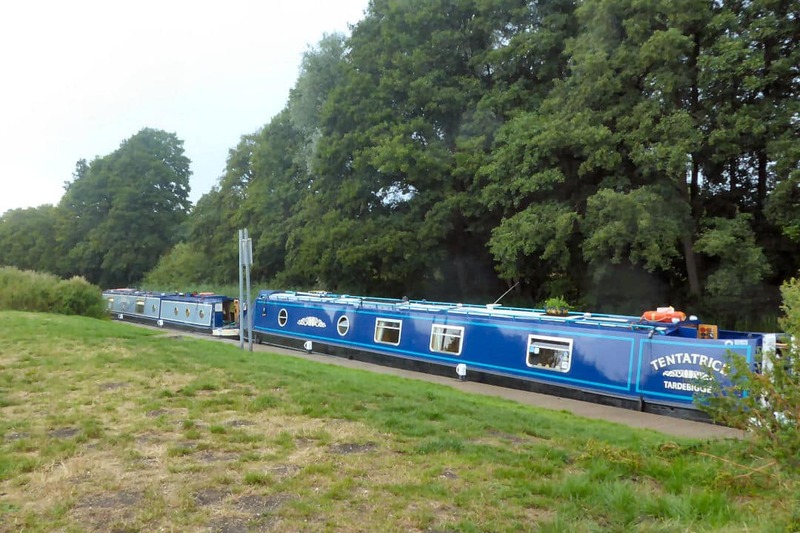 At the Little Ouse Farm moorings both boats’ diesel tanks were topped up (at a very competitive price), fresh water was taken on board and domestic rubbish off-loaded into a boaters’ wheelie bin. Excellent! 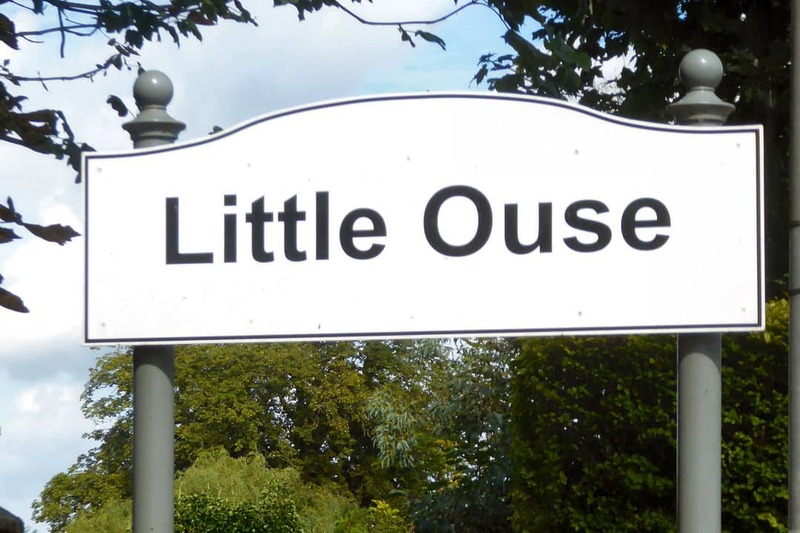 And the verdict on the Little Ouse? For a first foray into Suffolk by boat it was pretty good! Previous story Sound. Colour. Action. Bored? Never!